Christmas is on its way and we know you need to spend lots of money on gift and food for the family. We also know that there will be lots of traveling to different countries and cities around to meet up with the family and that can become quite expensive. Here are a few apps that will help you save for this Christmas trips and not break the bank. TripAdvisor not only helps you with reviews on the country or city that you are traveling to but also send you daily emails on the best prices for your trip. You can literally book your whole trip with this app by booking your flight, hotel, and activities. If you plan really far in advance you can get the best deals if you sign up for their email updates. The advice you on any and everything from where to eat, things to do, places you must visit, and the best prices of these things. There are also features on trip advisor called near me, so wherever you are located, the app will tell you what things and places are closest to you. As the name says this Skyscanner helps you scan the sky for great flight hotel and rental car deals. This easy to read app can be downloaded on your phone for easy use. You can sign up for price alerts on some of the greatest deals. Thinking of doing a quick getaway? Then this app would be perfect for you. Just pack your bags and Jetset into the sky once that great deal pops into your email. Sometimes you just need a break and you don’t know where to travel to, that ok, with this app by selecting everywhere in the destination box, it gives you some travel inspiration so you don’t have to make the decision yourself. The great thing about Viator is it has a number of different suggestions for your vacation. Once you have book your ticket for your trip by joining their email list, it will give you a bunch of different ideas on things to do and places to visit whiles you are on your Christmas vacation. This app gives you the feel of a VIP experience. Helps you skip the lineups to buy tickets to the places you want to go. Wine tour anyone? I don’t mind if I do. Another bonus of this app is that you get to see full-screen local videos of the places you’re about t visit in advance. It’s cheating a little but hey you gotta know what you’re paying for, so you can make a better decision. Viator also comes with a low price guarantee so why not book with them. Trying to save money on your travel and not really looking for a fancy sleep, well this Couchsurfing travel app will help you land on the free couches of different people around the world. The cool thing about this app, hence its name, it isn’t just used for a couch to sleep on but it can be used to attend local events that are happening at that very moment. Also, you can plan events in advance or meet up with different people who are couch surfing as well. If for your travels you want to live like the locals do, this is the perfect place to be. The locals will give you an under the radar experience that will really make your trip worthwhile. Uber has become almost worldwide. You can catch an Uber right from your phone no matter where you are in the city. It is super convenient. Gone are the days where you have to be tumbling around in your purse for change to pay the taxi. Sign up with Uber, and the app takes the money right from your credit or visa debit cards. Being in another country, you don’t always have enough of their currency to pay for a taxi, having this app makes it’s as easy as 123. Imagine being in a city that you don’t know driving around can be a hassle. Having the Uber app is like having your very own personal driver to take you wherever you need to be. Groupon is an all in one package. It gives you anything from flights hotels, activities. You name it they got it. If you are in Rome after a long day of sightseeing, you just want to relax and let someone else take care of you. Groupon can find you the closest massage at the cheapest price. Wanna go out on a quick but cheap date, there are always great deals on the best restaurants. Before you travel you can find almost all your traveling needs on this app. Having it on your phone makes it so convenient because no-one sits in front their computers anymore. It is also a great place to find some last minute gifts for those nieces and nephews. We all want to leave the cold and travel somewhere warm for the holidays. With Expedia, that could be done easier. Having this app allows you to see great deals on flights, hotels, and car rentals. If you are looking for all three, it also comes with a package deal that actually makes it cheaper for you. Sign up with Expedia and you will get email alerts on that trip you have been eyeing since the snow started. Whether you are looking for two, having a solo Christmas, or spending it with the family, having this app on your phone will decrease your stress by you not having to look for deals but the deals coming directly to your phone. With the Airbnb app accommodation whiles traveling has become a breeze. Having a big family sometimes can come with some issues especially at Christmas time. Trying to fit them all into one house is an even bigger hassle. With Airbnb downloaded as an app on your phone, it makes it easy to browse through houses close by that can fit the whole family and does not have to cost you your first born child. Hotels can get very expensive, especially around this time. Because this service has become worldwide, it has become much easier to look for a place to rest your head. The great thing about it is that it allows the guest to leave reviews, so you always to what to expect on your travel. Planning that perfect Christmas wedding can get quite expensive, especially if it is a destination wedding. 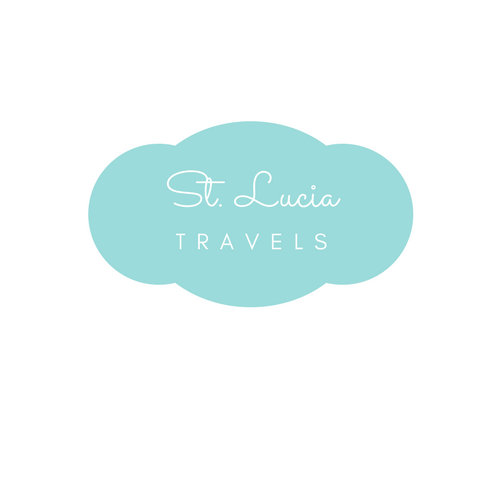 Honeyfund allows your friends and family to donate to your perfect honeymoon so you don’t have to break the bank to go to St.Lucia. It is also great as a wedding registry and makes it easier for your guest to give you exactly what you want. Another perk in having this app is that when you book a hotel for more than $700 you get $100 off your hotel stay. If that’s, not a steal, I don’t know what is. Be sure to look into their travel and wedding deals for some great offers, you won’t regret it. Planning that Secret Escape for Christmas for just you and your special someone, then this is the app for you. The great thing about this app is that it allows you to save on the best deals on hotels and holidays. It is also great for last minute deals. Need a hotel tonight, not an issue, secret escape is there for you. It is free to join and downloading as an app makes it accessible anywhere in the world. Also, you can start a wishlist so you can start saving for those future trips. This seems like a no-brainer. Download this app today and don’t miss out. We really hope you take advantage of all these apps and you save for your Christmas vacation. It can get really expensive around this time of year and traveling can just add to these expenses. Take the time to look these over and see which ones work for you.